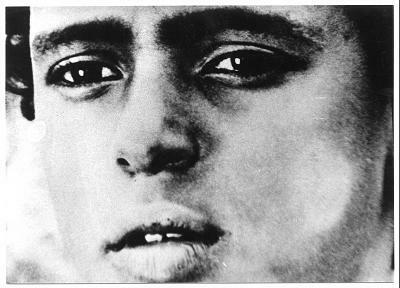 Haile Gerima est né à Gondar, Éthiopie, le 04 mars 1946. Né dans une famille de 10 enfants, de parents intellectuels, il s’abreuve de culture éthiopienne dès sa tendre enfance. En 1967 il s’installe aux États-Unis et poursuit des études de cinéma à l’UCLA. 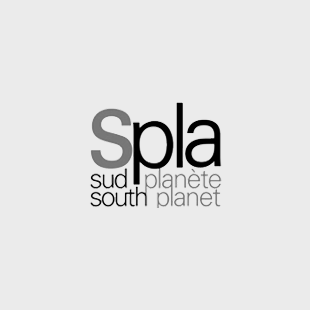 S’identifiant à la cause des Noirs américains il réalise plusieurs films puis il fonde Mypheduh Films, une agence de distribution de cinéma afro-américain, pour lutter contre la « censure économique » qui frappe les films des Noirs aux États-Unis. Bio 2008: Haile Gerima, né le 04 mars 1946 à Gonder (Ethiopie), se forme au cinéma aux Etats-Unis et accède à une reconnaissance internationale en 1976 avec Harvest: 3000 Years, qui reçoit le Lépoard d’Argent au Festival de Locarno et le Prix Georges Sadoul. Aux côtés de Charles Burnett, Haile Gerima a été un des moteurs de la Los Angeles School of Black Filmmakers. Aux JCC 2008 (Tunisie) son long métrage TEZA (« La rosée ») a raflé les 5 grands prix. Geboren am 4.3.1946 in Gonder, Äthiopien. 1972-76 Filmstudium an der UCLA. 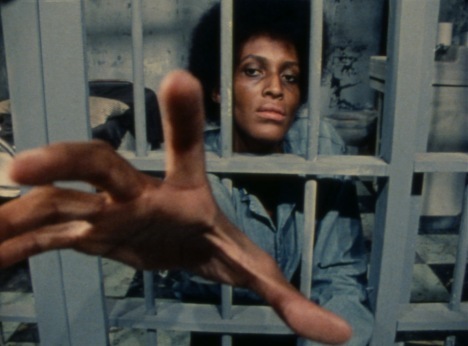 Lehrt seit 1975 Film an der Howard University, Washington. Regisseuren des afrikanischen Kinos. Mit seinem jüngsten Spielfilm TEZA gewann er den Hauptpreis beim panafrikanischen Filmfestival FESPACO 2009 in Ouagadougou. FilmInitiativ zeigt deshalb den international preisgekrönten Film TEZA noch einmal, um dem Kölner Publikum die Gelegenheit zu geben, mit Haile Gerima persönlich über sein Meisterwerk zu diskutieren. Anhand der Biografie des Intellektuellen Anberber erzählt Gerima in TEZA drei Jahrzehnte äthiopischer Geschichte. Als Anberber nach einem Medizinstudium in Köln in den 1970er Jahren in sein Land zurückkehrt, herrscht dort die marxistische Regierung von Mengistu Haile Mariam. Hatten die äthiopischen Studenten im Exil noch den Sturz des Kaisers Selassi gefeiert und hohe Erwartungen in die sozialisitische Regierung gesetzt, so erweist sich die politische Realität vor Ort rasch als desillusionierend. Einer der eindrücklichsten neuen Filme aus Afrika. Born in Gonder, Ethiopia, March 4 1946, Haile Gerima is the fourth child of ten children. His father was a writer and his mother a teacher. As a youth Gerima performed in his father’s theater troupe, which presented original and often historical drama, always submersed in the genuine culture of Ethiopia. Gerima came to the U.S. in 1967 to study at the Goodman School of Drama. He slowly realized that « with cinema I could control many more things than the theatre. 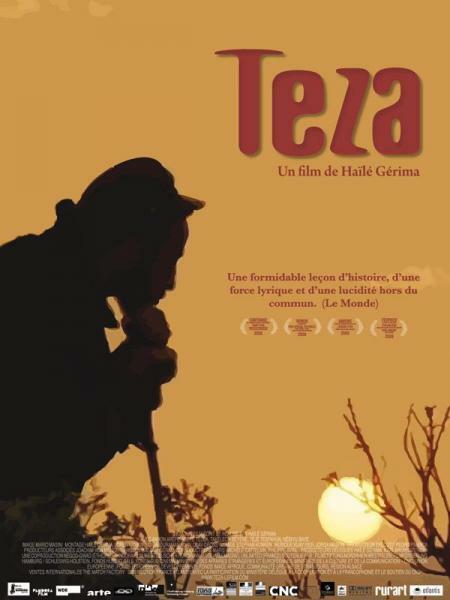 » Gerima went on to receive his MFA from UCLA in 1976 and to produce several films. Hour Glass, and Child of Resistance were his first films, Bushmama and Harvest 3,000 Years followed, all produced during his years at UCLA. In an attempt to address the imbalanced system of distribution in this country Gerima founded Mypheduh Films (MFI) distribution company in 1982. 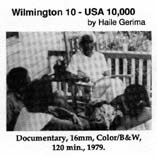 MFI distributes Gerima’s films and films by other filmmakers of African descent from around the world. 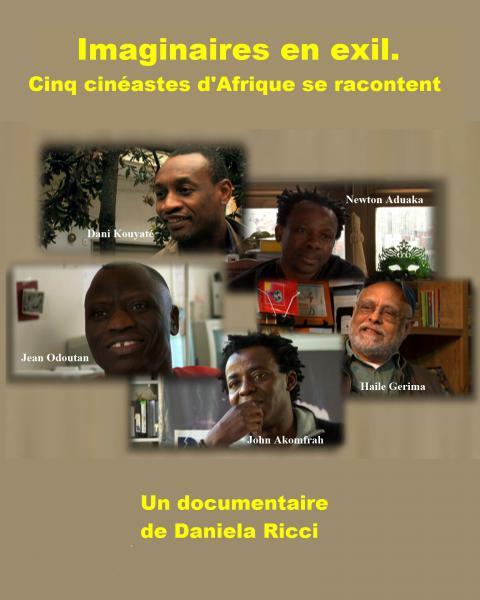 Self production and self distribution are what make Gerima an « independent filmmaker. » By approaching filmmaking this way Gerima believes that he can maintain the content of his films, without having to follow the « formula » dictated by « Hollywood films. » So far the audience response to his work affirms the necessity for films that freely express our own stories that have been « economically censored » from the screen. After completing Harvest, Gerima produced Wilmington 10 – USA 10,000*, Ashes and Embers, After Winter: Sterling Brown*, SANKOFA, Through the Door of No Return (Co-producer and editor), Imperfect Journey**, and Adwa – An African Victory*. He is currently working on 1) Adwa Part II – The Children of Adwa. 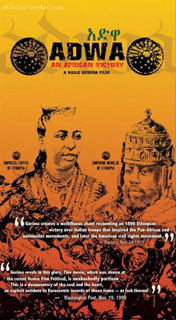 This film will look at the return of Italy to Ethiopia during WWII and the gallant determination of Ethiopians to remain free; 2) The Maroons Film Project – this film will investigate the existence of free territories during slavery, run and controlled by people who had escaped slavery. Sankofa Video and Bookstore was opened in 1996 in order to combat the refusal of chain video stores to carry the work of Gerima and other black filmmakers. The store attempts to make such films available to a broader public while at the same time demonstrating that movies can and should be held to the same high standards as good literature. 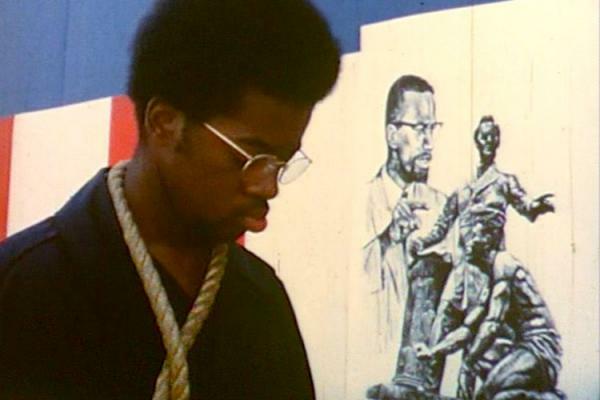 Gerima teaches film and Howard University and is a father of six. For information regarding arranging speaking engagements for Haile Gerima call 202-232-3400. 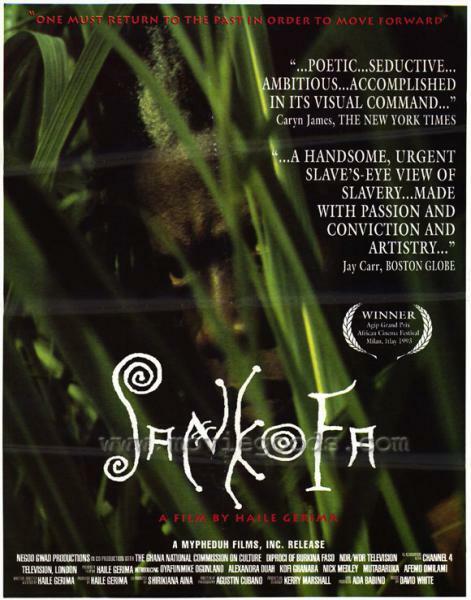 For ordering information on the SANKOFA video cassette, SANKOFA merchandise, and other titles by Haile Gerima visit the Sankofa Store.